Our monthly newsletter will contain green tips, hints, events and special offers. 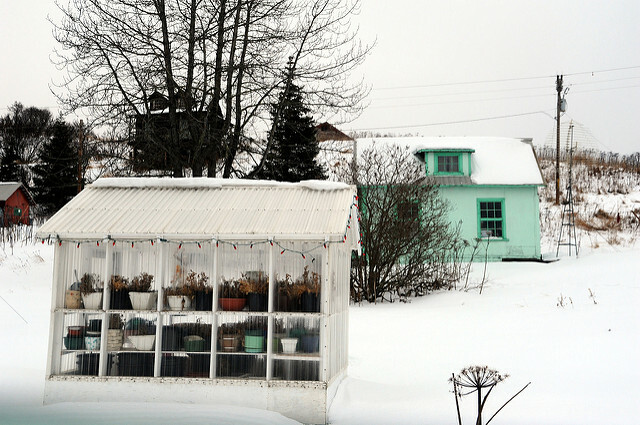 Winter’s here, and that means your garden may be looking pretty bleak. If you’re making a point of being more self-sufficient, or you’re just passionate about growing, then the harsh chill of winter can be pretty discouraging. 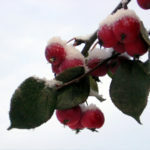 However, you don’t just have to sit there and watch your plants turn to frosty, wet mush. Here are some of my best tips for keeping a greenhouse warm in winter. By clipping a layer of bubble wrap to the inside of your greenhouse frame, you’ll be able to prevent any serious heat loss, and block the icy draughts that come with winter. Even greenhouses with no existing heating system can benefit massively from a layer of bubble wrap. For the best results, get yourself some made-for-purpose horticultural bubble wrap from a garden centre. This is designed to withstand strong winds and is stabilised against UV. Try to go with larger bubbles as well. Smaller bubbles may be more satisfying to pop, but they’ll let in far less light! You’re probably not growing anything that requires tropical conditions, so don’t waste any money or energy on making your greenhouse hotter than it needs to be. Obviously, you don’t want it frosting over, but you can stop that from happening by keeping your greenhouse at a temperature of 2 degrees Celsius. More tender plants, such as citrus trees and pelargoniums will stay healthy at a temperature of 7 degrees Celsius. This is also a good mark to stick to when you’re growing plug plants or particularly young plants. If you happen to be growing any really delicate plants, such as Sundaville, then you should be aiming for a temperature of 13 degrees. It may require less effort to set your temperature high and know that you’re at no risk of the greenhouse frosting over, but getting it precise will ensure that your whole home is as energy-efficient as possible. Greenhouses can be extremely useful for keeping your plants growing all year round. However, there’s one big drawback, in the fact that all greenhouses have increased humidity. To make sure you’re not encouraging any fungal diseases in at your plants, you need to keep your greenhouse well-ventilated. There are other things you can do to make sure that moisture isn’t building up too much in your greenhouse, such as watering plants frugally and early on in the day. If you have any vents, make sure they’re fully open on sunny mornings to clear any condensation. Just make sure you’re closing them again before the sun goes down, as this will trap all the daytime warmth in the greenhouse, keeping it warmer for longer. Hopefully these tips give you some peace of mind in keeping your greenhouse warm in winter, well ventilated and that your plants will thrive.